Feature very specific age groups to ensure targeted and effective training. 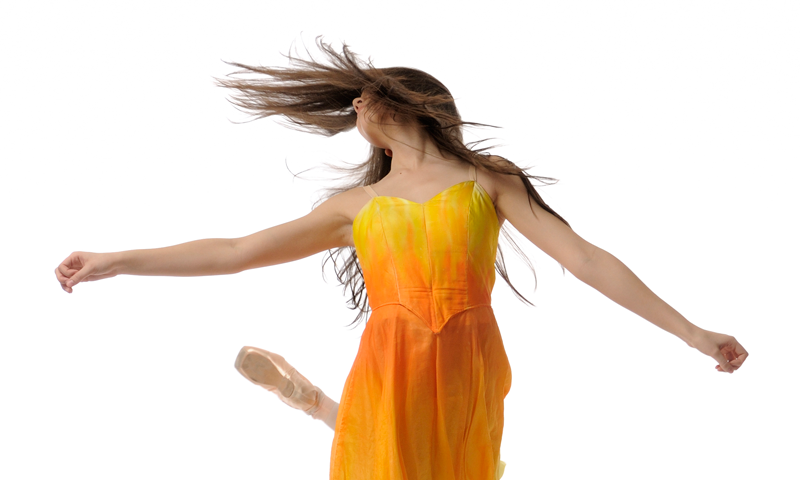 The Creative Movement Program introduces concepts of dance through creative movement and expression. The goal is to integrate our youngest dancers into a class setting, develop their movement skills and coordination, encourage musicality, and prepare them for more advanced ballet training. 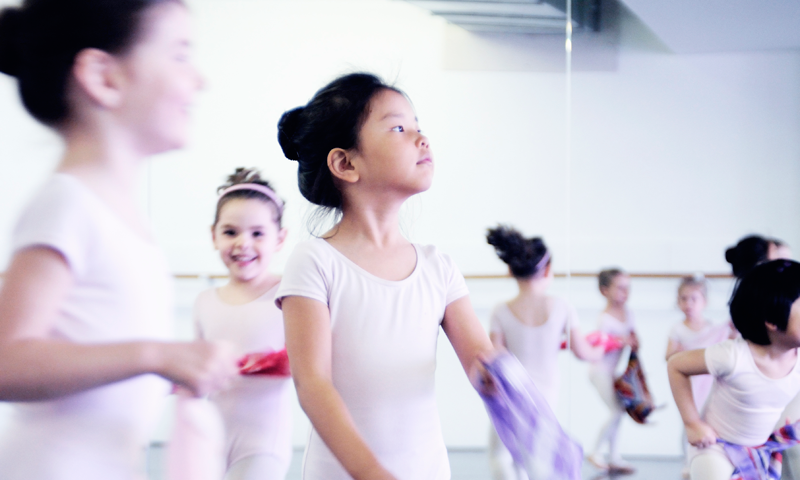 The Pre-Ballet Program expands upon creative concepts, and introduces more advanced movements and traditional ballet technique. The goal is to prepare the dancer for the Ballet Program’s more intensive ballet training, all while encouraging a love of dance and performance. The Pre-Ballet levels are a pivotal period for many dancers, when talent emerges and an enduring love of dance is formed. Arranged by skill level rather than age, and offer formal evaluations and level placement by our Artistic Director at the end of every year. The Ballet Program has been designed for the recreational ballet student, with the aim of encouraging an appreciation of dance, physical activity and self-discipline. Students of this program progress through each level at a pace matched to their own development. The Enriched stream provides a framework within which young dancers who show exceptional promise can train more intensively alongside other dancers of their level. The goal of the Enriched stream is to develop a team of strong dancers who can represent Ballet Ouest and to offer our most promising young dancers a more intensive and challenging program that will inspire them to achieve their potential. Contemporary and Hip Hop classes, as a complement to ballet training or on their own, provide diversified training that reflects the ever-changing world of dance and create versatile and well-rounded dancers. A professional training program for students at the high school level, students in this program will be able to combine high quality dance training with specially tailored academic schedules at our partner schools; John Rennie High School, École secondaire des Sources and École secondaire du Chêne-Bleu. 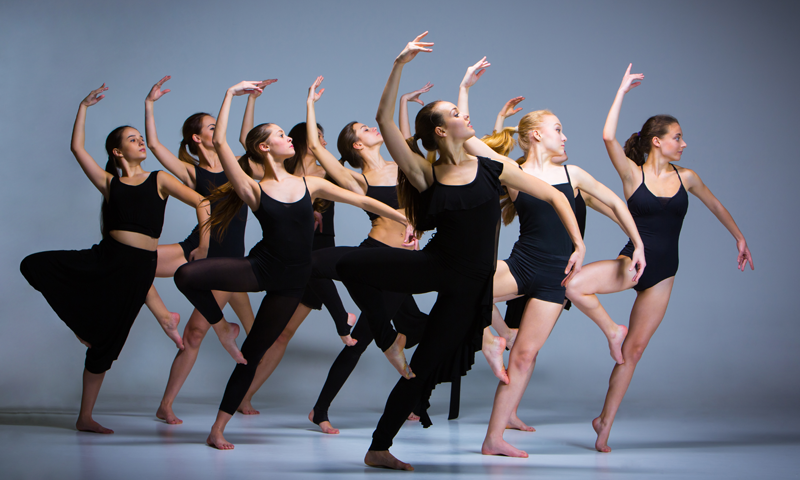 The program consists of 15 or more hours of instruction a week and includes daily Ballet classes, Contemporary, Hip-hop, Conditioning, and more. Dream of dancing when you were younger, but never had the chance? Or danced through your youth, but then stopped? 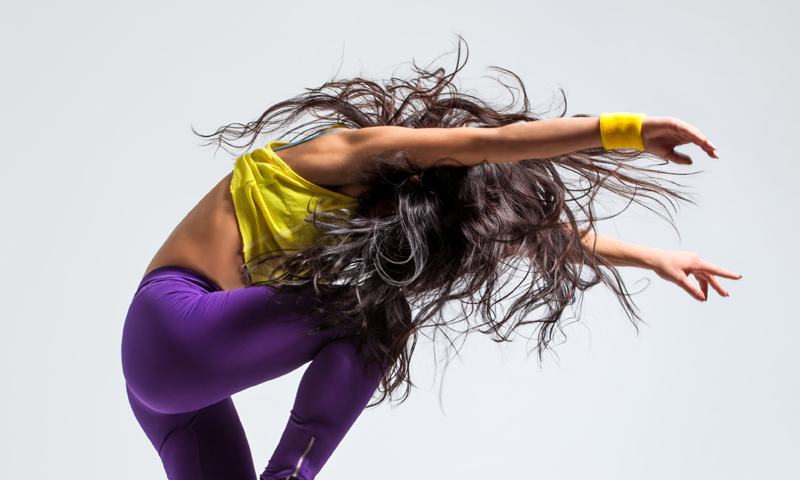 Our ballet and hip-hop classes for adults are for you! A lively and comfortable atmosphere welcomes students of all levels — from absolute beginners to those who’ve earned their years of experience. Program and Registration info for 2019-20 coming in June. Email us to receive the info as soon as it is available!